As the last few days of the year remain the world is preparing for 2012, all except for one, Weird News. Standing proudly with its back to the New Year Weird News gazes longingly at all the weird and wonderful happenings that the past year provided for us in the world of tech. We look back at some of the best stories that were on offer and enjoy just a taster of the YouTube delights that have kept us glued to our screens from January to December. 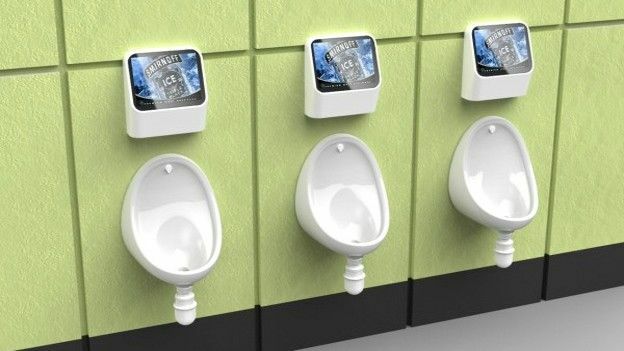 Exibit Bar in Balham South London have made their gents facilities a more interesting experience by installing the world's first video game controlled by non other than urine. The term aim and fire holds now a new meaning. You will start to see men going to the loo in pairs. When it comes to lunar material Nasa is rather protective, in fact over any piece of space memorabilia, no matter how important or what size. This was quite untastefully proven when they decided to launch a sting-operation on the 73-year old wife of a ex-Nasa Engineer who had been given a speck of moon dust by Neil Armstrong himself. She had been given the moondust in her late-husbands will and wanted to sell it to raise money to pay the health bills of her sick son. A truly heart-warming story indeed, until she was tricked by NASA investigators into setting up a meet, was then surrounded by Federal Agents and held for questioning for two-hours. Turns out sometimes there's just never an exception to the rule. Can you hear that noise? It's the sound of millions of Apple lawyers running to catch a flight to China. Some enterprising sort has rented a space and opened up a fake Apple Store, built to match the real deal down to the very minute details. Enjoy your short-lived success, friend; you will be spending the rest of your days locked in the basement at 1 Infinite Loop. If you're after a motorbike but don't want to go in for anything like the bikes you've seen before how's about an electronic one built as an exact replica of the Tron LightCycle? It's got all the mod cons, although sadly lacks a trail of explosive death that'll destroy anything you overtake. Maybe in the 2.0 version? Feeling a bit lonely? Ironically, you're not alone; your sentiments are echoed by the developer of this: the hug machine. Not, as you'd expect, a robot with actual arms, this is a dummy torso with sensors that speak to a special jacket which contricts you as much as you squeeze it. Seems a bit overly complicated to us, but the chap in the video seems to be enjoying himself nonetheless. The chief of a games development company in Austin, Texas has found a novel way of both being able to spend time with his family and also be at work overseeing the office. This came in the unlikely form of a robot he had custom-built so he could communicate with his elderly mother while he was in Paris getting married, apparently he then liked the idea so much that he decided it could work in the office as well. He now spends his days wandering around the office in robot form giving directions and overseeing company issues, apparently the staff are fine with it but his robot form has a small problem with personal space, careful.